Health Equity We believe that everyone should have the opportunity to achieve optimal health and wellbeing. 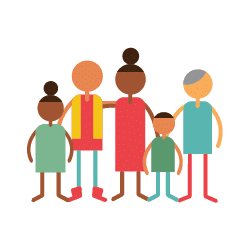 Integration We support effective integration of care and services among providers serving people who are uninsured, underinsured, and medically underserved. We promote collective action to improve the health and well-being of Philadelphians. Collaboration We promote collective action to improve the health and well-being of Philadelphians. Philadelphia Health Partnership aims to improve the health and well-being of underserved Philadelphians by supporting access to quality care and services. We believe that promoting optimal health and well-being requires addressing underlying root causes, including the unequal social and physical environments in which people live. We seek opportunities to eliminate health disparities that enable people to feel their quality of life has improved. In 2017, we launched a five-year strategic plan, which outlines a long-range direction and organizational and grantmaking priorities for the foundation. 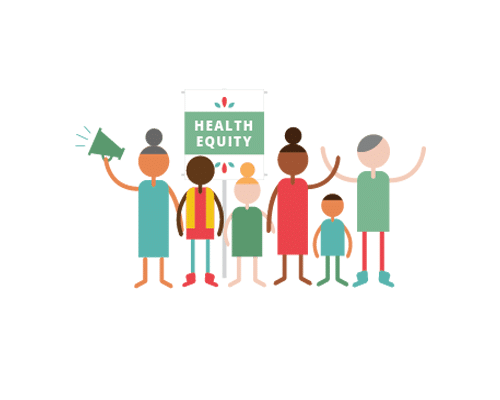 Our strategic initiatives are focused on advancing health equity and addressing the social determinants of health through the integration and coordination of care and services in Philadelphia County. In 2018, Philadelphia Health Partnership awarded over $950 thousand to 17 nonprofits.